Dj, drinks, food and fun! 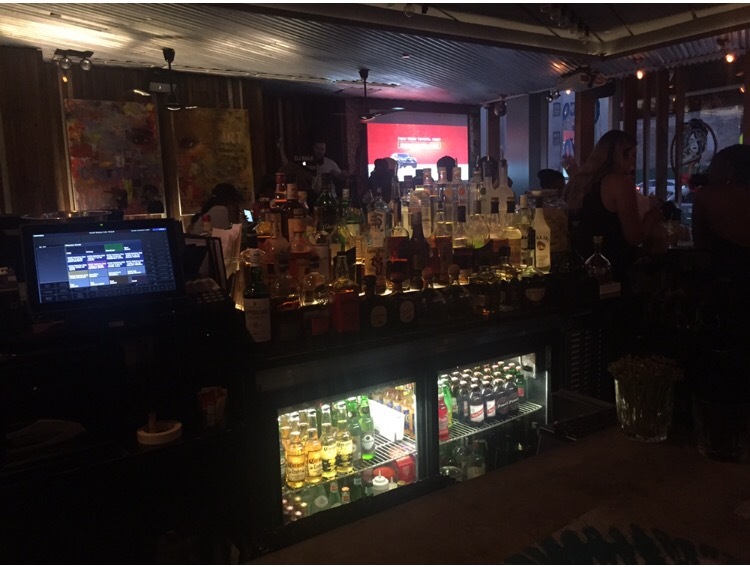 Brunch, day parties are a popular choice among urban professionals in their 30s. I happened upon Angel in Harlem on a brisk Sunday afternoon. The music was pumping and the restaurant appeared to be at capacity with patrons. It seems like a popular place to be in Harlem for a Sunday brunch soiree. I didn’t eat, but the menu had good offerings. 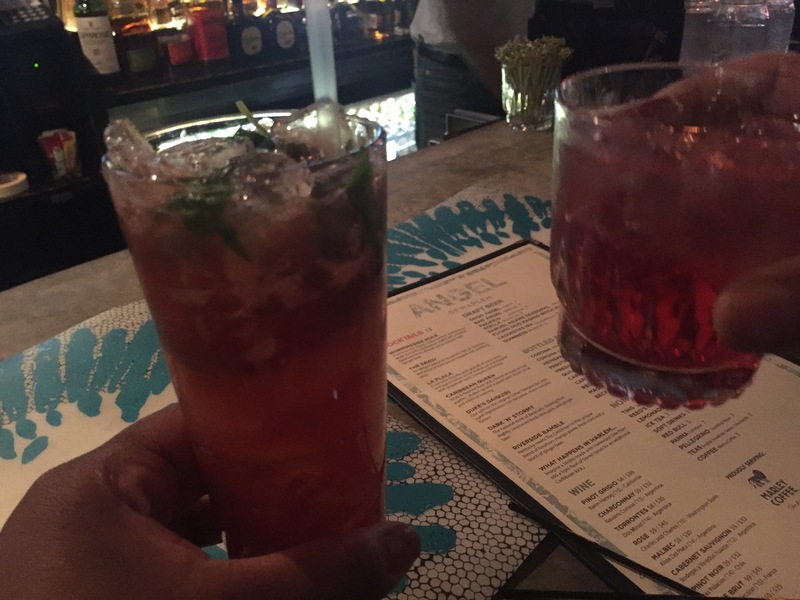 I sat at the bar and took in the lively upbeat scene. 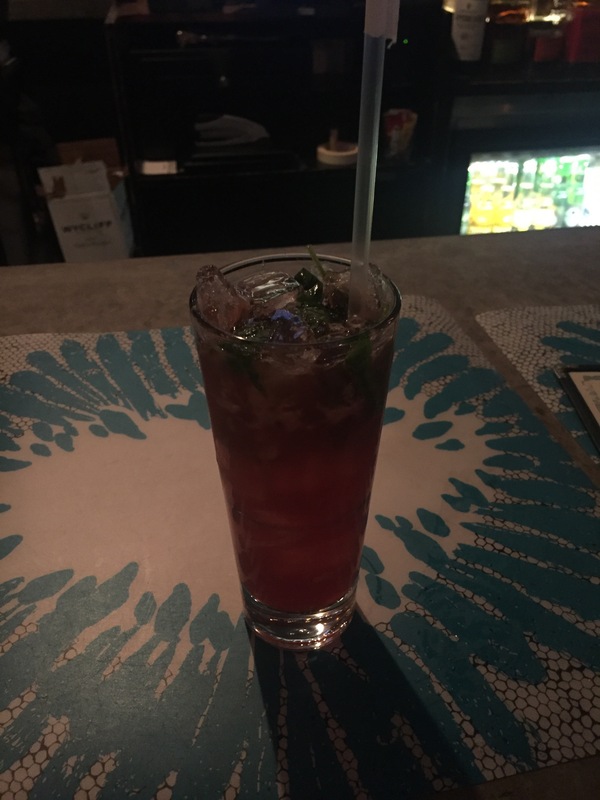 I ordered a What Happens in Harlem which is a twist on the traditional mojito; made with Hennessy cognac instead of (rum) to crank the flavor up a notch, is a splash of sorrel. It was a pleasant blend of flavors that I greatly enjoyed. The smell of cooked salt fish was in the air and it smelled divine. The smell reminded me of a Sunday breakfast at my parents’ house where my dad boiled dumpling and cooked choba (eggplant) with Salt fish. 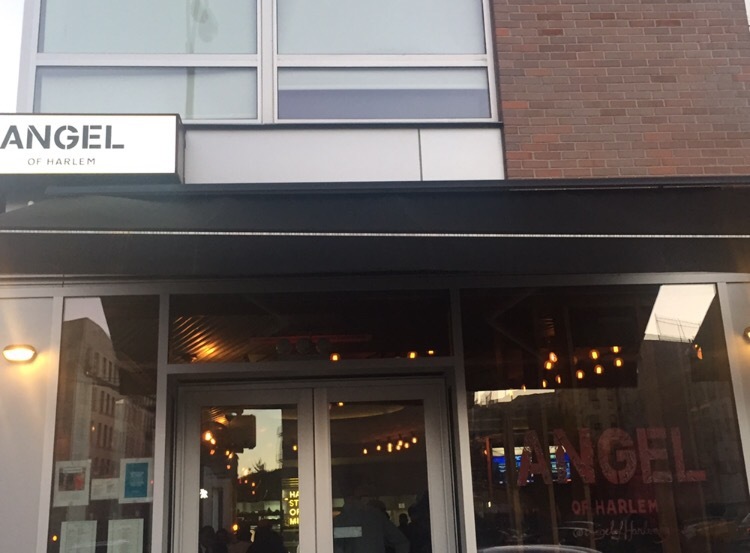 I decided that I have to go back to Angel in Harlem and try their ackee and salt fish along with their chicken and waffles. 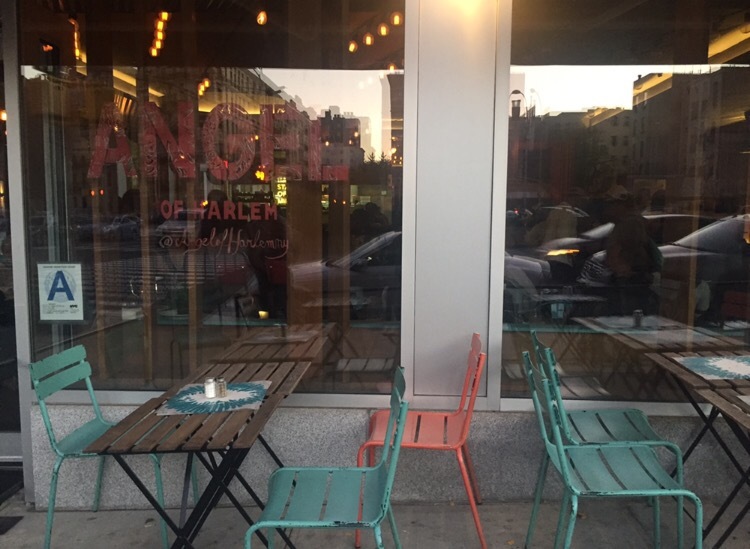 Angel in Harlem seems like an LGBT friendly hub at this Sunday brunch soiree. Get your rainbow flags out and just embrace the diversity that New York City represents. No hate, just love was the vibe I received at Angel in Harlem. I would definitely recommend this place for the atmosphere and drinks.